Which items do we love to spend money on from overseas? While many of us buy cheap t-shirts and shoes, the biggest imports and exports by value are often cars, petroleum, and circuits. 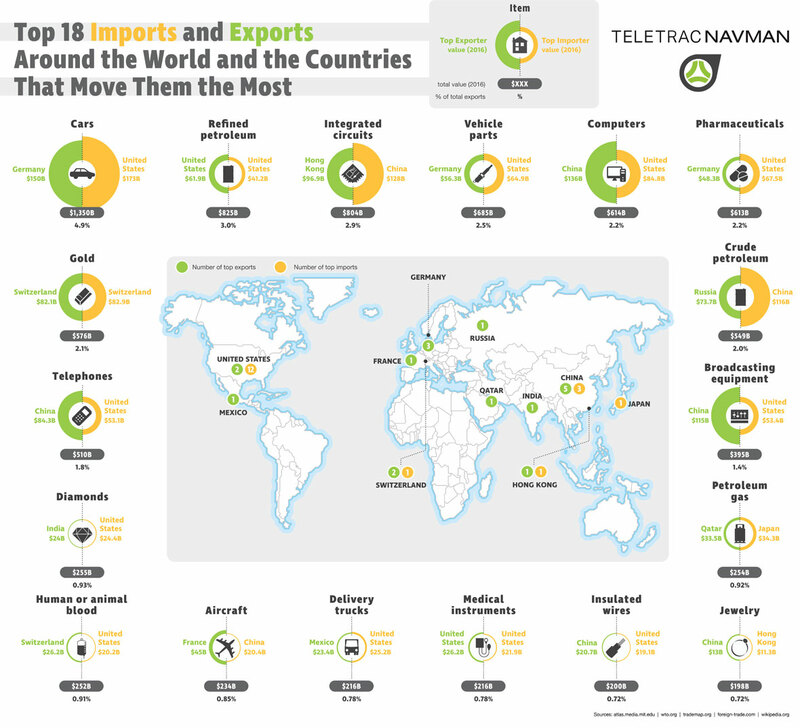 TeletracNavman.com have created an infographic that breaks down shipped items by value and pointed out which countries are the main exporters as well as which ones are the top importers. Which countries do you think import the most cars by dollars spent? How about the most gold?